Random House Trade Paperbacks, 9780812980516, 320pp. 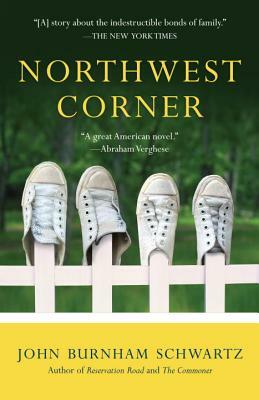 From John Burnham Schwartz, one of the our most compelling and compassionate writers, comes a riveting novel about the complex, fierce, ultimately inspiring resilience of families in the face of life’s most difficult and unexpected challenges. Twelve years after a tragic accident and a cover-up that led to prison time, Dwight Arno, at fifty, is a man who has started over without exactly moving on. Living alone in California, Dwight manages a sporting goods store and dates a woman to whom he hasn’t revealed the truth about his past. Then Sam, Dwight’s estranged college-age son, shows up without warning, fleeing a devastating incident in his own life. As the two men are forced to confront their similar natures and their half-buried hopes for connection, they must also search for redemption in their attempts to rewrite, outrun, or eradicate the past. John Burnham Schwartz is the author of four previous novels: The Commoner, Claire Marvel, Bicycle Days, and Reservation Road, which was made into a motion picture based on his screenplay. His books have been translated into two dozen languages, and his writing has appeared in many publications, including The New Yorker and The New York Times. A winner of the Lyndhurst Foundation Award for mastery in the art of fiction, Schwartz has taught at the Iowa Writers’ Workshop, Harvard University, and Sarah Lawrence College, and is currently literary director of the Sun Valley Writers’ Conference. He lives in Brooklyn, New York, with his wife, Aleksandra Crapanzano, and their son, Garrick.